We always take your feedback seriously and develop the product keeping it in mind, too. So, for the last couple months, we’ve been working really hard on the most wanted features and updates. We hope that these new additions and improvements will make Focuster even more powerful and helpful for you. Focuster is a productivity app that turns your todo list into a schedule in your calendar and keeps it up to date, automatically. It gives you smart reminders so you make more consistent progress on your highest priorities. Not a Focuster user yet? Signup at http://focuster.com and follow along with the rest of this article. 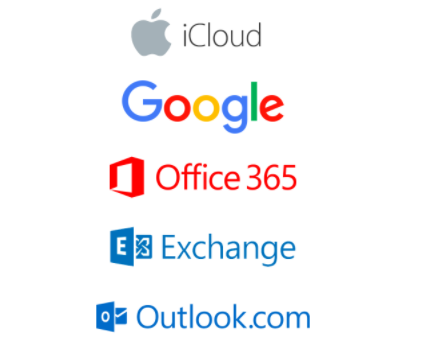 With multiple calendars support you can connect additional Google calendars to Focuster as well as Microsoft Office 365, Microsoft Exchange and iCloud. Now you can keep all your tasks and events in one place and also always have a complete schedule handy. Please note that currently, we support incoming events only. You can learn more about this feature here. You know how great it is when Focuster automatically schedules actions for you. In addition, now you can separate your work and home activities, set up time blocks for different projects or create any other time blocks for related activities which Focuster then will schedule for you within these blocks. Coupled with multiple lists, tags and other features, this allows you to create a well-structured schedule and keep track of all of your tasks. Have a bunch of way too long actions that need to be fitted into your day? Don’t worry, because with new Auto-splitting feature long-lasting actions will be broken into smaller one to fit the packed schedule you have with just one click. Learn more about auto-splitting. With our new native Trello integration, you will enjoy instant syncing and skyrocket your team’s and personal productivity. Check out our step-by-step guide to this Trello integration here. That is one of the most wanted features according to your feedback. And of course, we’re extremely happy to announce that it is live now. Now you can set up daily and weekly tasks with just one click. Advanced scheduling options allow you to pin recurring actions to start at the same time every day/week. Also, you can use Focuster’s auto scheduling features so your recurring tasks will be scheduled for the upcoming days, but will appear on your list and scheduled according to the priority and time availability. Learn more. Check out Focuster, a web and mobile app that aims to save professionals at least an hour a week by recovering time lost to distractions while making more consistent progress on their most important goals. Follow @focusterapp on Twitter to get more useful tips on reclaiming your focus. Start moving the needle on your day now. "If you talk about it, it’s a dream, if you envision it, it’s possible, but if you schedule it, it’s real." Follow Focuster to get productivity, focus and time management tips.